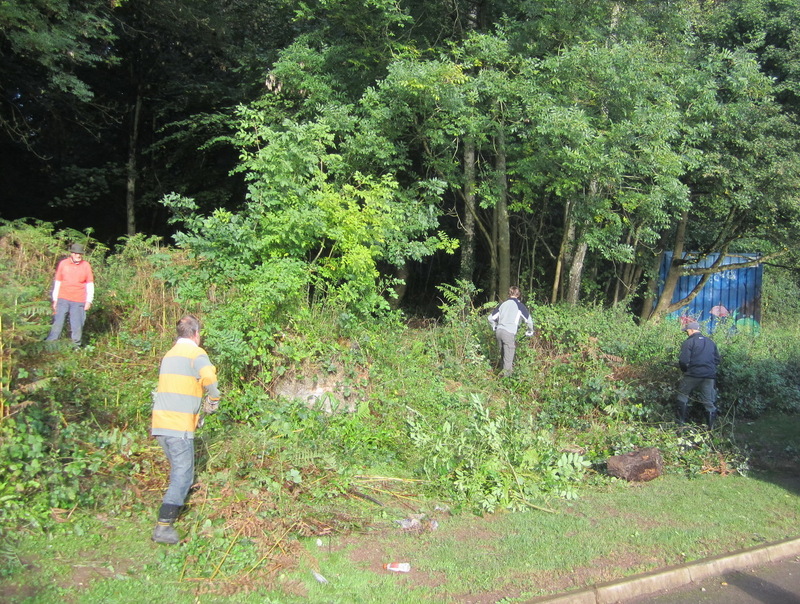 In March 2013 we re-acquainted ourselves with Clevedon School to resume an assignment to take care of the woodland area behind the school. 20th March 2013, first visit – Work undertaken: hazel coppicing, removal of small sycamores, cutting of low and overhanging branches from trees behind the new six form block to create an area that the students can make their own. Eight members of the group attended for the normal three hour session. 9th October 2013 – Site visit to agree clearance work behind the sixth form block. Cleared brambles, nettles etc. behind the sixth form block leaving an area of bare soil for the students to cultivate. The Woodcutters were assisted by 3 students. Hazel coppicing was also carried out. 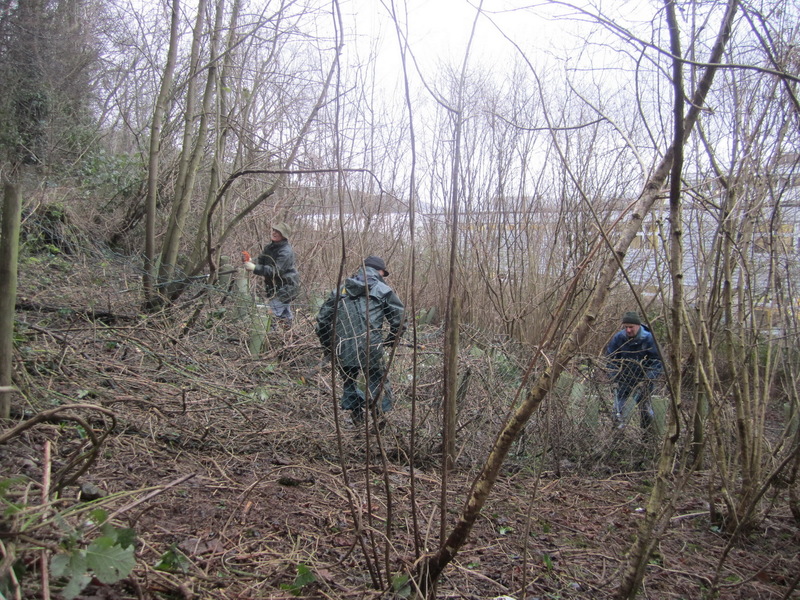 12th February 2014 – Five Woodcutters cleared scrub from a previously coppiced area. Heavy rain stopped work after 1½ hours. 19th February 2014 – Five Woodcutters felled sycamore saplings and holm oak to further open up the glade to sunlight. All cut material was left in piles for students to use for construction purposes.